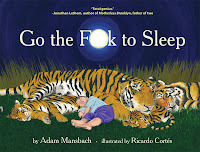 Here is one of those "viral" Internet phenomena - two people wrote and illustrated a book, and put it on Facebook—Go The F*ck to Sleep by Adam Mansbach, illustrated by Ricardo Cortés. 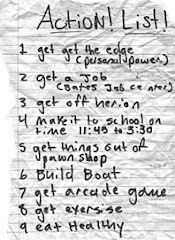 What parent isn’t occasionally frustrated by their child’s bedtime antics? A new book by Adam Mansbach provides some comic relief. A pirated PDF version of the book titled Go The F**k to Sleep, has gone viral through email and Facebook — catapulting the book to the top of Amazon’s best-seller list, despite the fact that it won’t be released for sale for another month.